It will have a premium shop that sells pets, though. 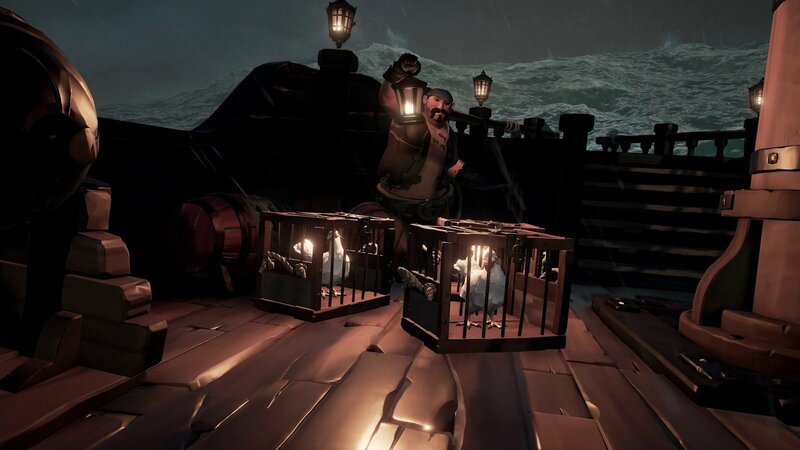 After a Sea of Thieves datamine revealed info hinting at a premium shop, gamers have expressed concerns that Rare may have plans to incorporate loot boxes. Addressing these concerns, the developers at Rare confirmed the game will have a premium shop, but that loot boxes will not be sold in Sea of Thieves. “It’s entirely optional. If you had a monkey, for example, you’ll be able to hold it like you can other things in the game. But then I’ll also be able to hold it, then drop it overboard, because that’s funny,” Neate explained. Another thing to note is that the Sea of Thieves premium shop won’t be made live immediately after the game’s March 20th release. Instead, it’ll be delayed in effort to give the game a strong launch, with the shop’s introduction coming once Rare feels players are ready. It’s nice to know that while Sea of Thieves will eventually feature a premium shop, it won’t offer loot boxes or items that give advantage to paying players. The concept of virtual pets certainly sounds fun, and according to Rare, money accrued through the premium shop will be used to fund the game’s ongoing development.